is Associate Research Professor of Theological Ethics and Bioethics, Senior Fellow at the Kenan Institute for Ethics at Duke University, and Associate Faculty with the Trent Center for Bioethics, Humanities, and History of Medicine at Duke University School of Medicine. He has specific academic interests in the areas of bioethics, social ethics, Black Church studies, and philosophical theology. He was named a 2016-2017 Henry Luce III Fellow in Theology. His work and service in bioethics and social ethics has spanned academic, professional, community, and ecclesial spaces. Before coming to Duke, Professor Smith held academic appointments as an associate professor of philosophical theology and ethics at Gordon-Conwell Theological Seminary and lecturer at Harvard Medical School through the Department of Global Health and Social Medicine. He was core faculty for the Master of Bioethics degree program offered through Harvard’s Center for Bioethics. In addition to his work with the Center for Bioethics, he was a principal faculty member for the Initiative on Health, Religion, and Spirituality, an interfaculty initiative across Harvard University. He serves on the Board of Directors for the American Society for Bioethics and Humanities and is the recipient of the 2019 Paul Ramsey Award for Excellence in Bioethics. Professor Smith has worked professionally as the ethics coordinator for Angela Hospice Care Center in Livonia, Mich. He served on the Ethics Advisory Council for the National Hospice and Palliative Care Organization and on the board for the Hospice Palliative Care Association of Michigan. He also has been a member of the Boston Children’s Hospital’s ethics committee. 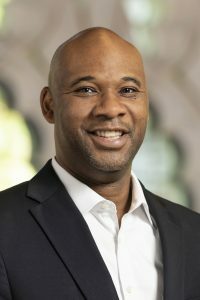 As a student and product of the black Baptist church tradition that flows from the African-American Christian experience and as a licensed and ordained clergy member of the National Baptist Convention, USA, he seeks to integrate black Baptist spiritual, theological, and ethical resources for a public theology that bears witness in the form of a robust social ethic. He has served on the board of directors of organizations working for the common good and more equitable social arrangements such as YW Boston, which aims to empower women and eliminate racism. He also contributed thought leadership by serving on the board of a community development corporation, which supports local communities through building affordable housing, engaging in advocacy work, and providing education on housing policies and practices.